After finishing a nicely fulfilling, enjoyable, and ultimately relaxing Oregonian ‘BB5’ I headed into the second of two weeks of one of my favorite musical endeavors. The Oberlin College-Conservatory of Music hosts one of our country’s oldest and finest baroque music workshops, known to those of us who have attended as BPI. I just calculated 2009 as my twelfth time attending since 1992. It is the institute’s 38th summer, and this year’s topic was: “Music in London, 1659-1759: from the birth of Purcell until the death of Handel” — way up my current alley. During the main part of the year, I butter my bread with all styles of opera. My increasing recognition as an advocate of new music thrills me; I thrive on it. But on the opposite end of the stylistic spectrum, what began as a hobby, and perhaps no more than a mathematical fascination with the figured bass notation, has developed into an obsession with a specific field of music for which I could give up opera in a second, no regrets, no looking back. Luckily for singers & composers out there, I see no way to support myself as a harpsichordist. So BPI has remained an annual diversion, some years more diverse than others. And happily I’m able to apply all that I learn from the incredible BPI faculty to my other music-making. 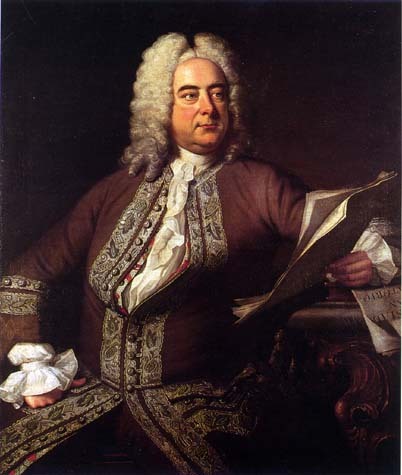 With Handel as part of this year’s topic, I couldn’t miss the chance to slog through more of his London operas. I have an imminent plan to do all 39, and, in a way, am using BPI as a research tool to scope out how involved this may end up being. The last time BPI’s topic was Handel (back in the 20th century), I organized, with the assistance of cellist Thomas Jocks, both of us under the severe influence of the Sleep Deprivation Game (SDG for short), readings of no fewer than five operas…the most famous: Acis and Galatea, Alcina, Giulio Cesare, Rinaldo, and Serse. Then last year I picked a random & obscure one, for contrast: Admeto, which proved to be just as beautiful and flawless as the better-known, and as the others I’ve done since (Arianna in Creta and Silla). This year, inspired by tenor Scott Mello (who also attended BPI and joined in with the faculty as a soloist in Handel’s ‘Dettingen’ Te Deum), I chose two with juicy and not-too-low tenor roles: Sosarme and Berenice. I’m creating my own edition of orchestra parts as I go, from the old Chrysander editions from the Handel-Gesellschaft, and at the rate I’m going will perhaps finish before Bärenreiter does. We ended up being able to stumble through, in a non-performance ‘reading’ format, two choruses, two orchestra numbers (including baroque trumpets), eight arias (including recitatives), and two duets from the two operas. We had a small orchestra – oboes and strings, which is all you need, led by myself and my fabulous colleague/collaborator through these past two seasons of insanity: harpsichordist Patrick Jones (here’s his Twitter page). Handel used two harpsichords, and it definitely holds the business together, not to mention being damn fun. The brave singers were BPI student participants: sopranos Jenny Chen, Alicia De Paola, Madeline Apple Healey and Channa Malkin; countertenors Justin Bland and Eric Garland; baritone Nokosee Fields; and bass Bob Brooks. Spot-on & patient were elegant trumpeters Brian Kanner and Melissa Rodgers. Somehow, in typical unpredictable BPI fashion, we had a welcomed faculty interloper. As tweeted, baroque oboist Gonzalo Ruiz, who begins teaching at Juilliard in William Christie’s new program September ’09, led his students in the opera reading, then spun around, picked up a modern oboe, and regaled the loyal midnight audience with the unbelievably serene (and fiendishly difficult) Richard Strauss’ Oboe Concerto. Having been booked to play it with the Buenos Aires Philharmonic this week, Gonzalo had just learned received a call that all concerts and public events including football matches had been cancelled by the government due to the H1N1 virus, so we went with the Steinway, and Oberlin Conservatory’s warm & comfy Kulas Recital Hall. After all this insanity, my week ended in a heavenly place when I was able to find solo time with Oberlin’s new fortepiano, which was built by Paul McNulty and based on a circa 1792 Viennese instrument by Anton Walter. Every spare minute I had, I snuck in and read through about a dozen Haydn Sonatas, then after the final concert on Saturday afternoon, violinist David McCormick joined me for a handful of Mozarts, all at ‘A = 430’ — thanks, David — he was also loyal concertmaster for the Handels. I’m now back to NYC, coaching, playing auditions, working with composers, and doing my best to stay in the Handel~Haydn peaceful place. This entry was posted in Jennifer and tagged baroque opera, baroque performance institute, berenice, bpi, brian kanner, chrysander, david mccormick, eric garland, fortepiano, gonzalo ruiz, handel, handel opera, harpsichord, haydn, jenny chen, justin bland, melissa rodgers, oberlin, opera, patrick jones, paul mcnulty, sosarme, strauss oboe concerto. Bookmark the permalink. Nice! Lots of interesting work got accomplished. Would love to work on one of those more obscure opera’s arias to have as a surprise piece!